The great thing about all of these machines is that with advances in engineering and manufacturing; high quality machines that were once only available at a commercial gym are now affordable enough for many people to have in their homes. Some people have a whole home gym with weights and several machines but most people just have one machine at home to supplement their workout regime. So which one is best to have at home if you can only have one? In addition to the questions above, this mainly depends on your personal preference. If you are not faced with any particular constraints then the best cardio machine for you to lose weight is the machine that you will spend the most time on. If you can’t stand the treadmill but are happy to sit on a bike, then the exercise bike is for you. If you enjoy the elliptical, then you know what to do. In fact, if you enjoy using any of these machines you’ve already won half the battle! The motivation to use the machine is the thing that most people lack, and by making your workout as pleasant as possible you have the greatest likelihood of sticking to it and losing weight. So it follows that if you are the average person looking to lose weight the best cardio machine for home is the one that you are most comfortable with. If you have any constraints then you should refer to the table below. I just picked the most common scenarios so please comment with any of your own requirements and I will add them to the table. Exercise bikes are great low impact cardio machines that enable you to burn a lot of calories while taking it easy on joints and bones. For beginners, those with lower body joint problems and those with back problems a stationary bike is the best low impact cardio machine to use – it’s a great way to exercise while preserving your body. If you have the space it’s a good idea to put an exercise bike in front of a TV and tune in to your favorite show while you tone up. For those with a lot of weight to lose an exercise bike is a good way to start as it is gentler on your body and safer than an elliptical or treadmill and it is easier to stop if you get tired – you don’t have to worry about trying to keep up with it. All stationary bikes have a variable resistance brake which means that as you get fitter you can increase the resistance thus burning more calories in the same amount of time! This also comes in handy if you need to stop suddenly – simply tighten the brake. 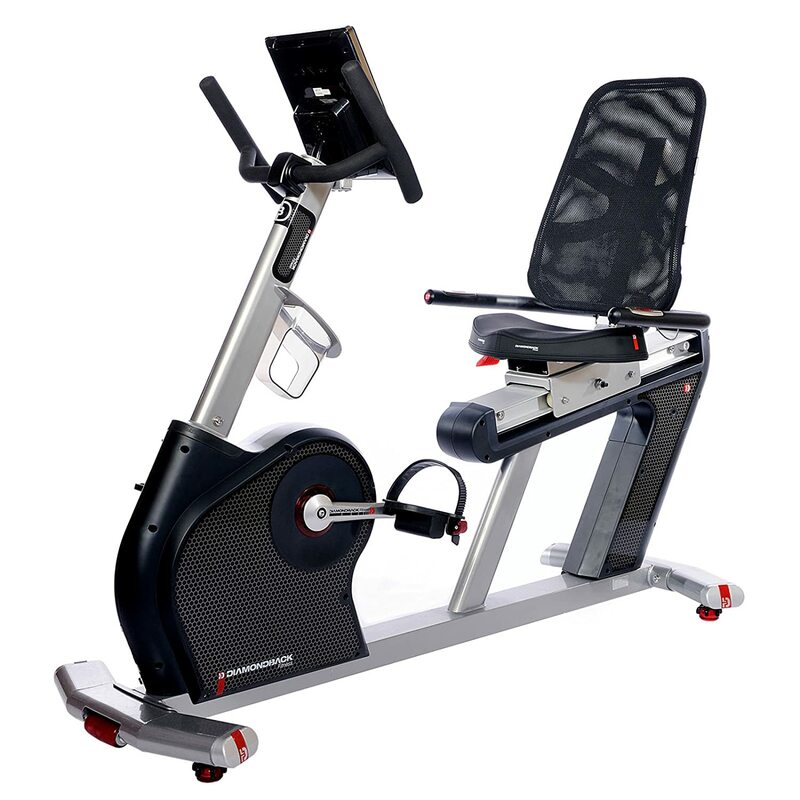 The majority of exercise bikes you’ll find on the market are either recumbent or upright. Upright bikes are ok if you have limited space as they take up less room but in almost every other way recumbent bikes are better. 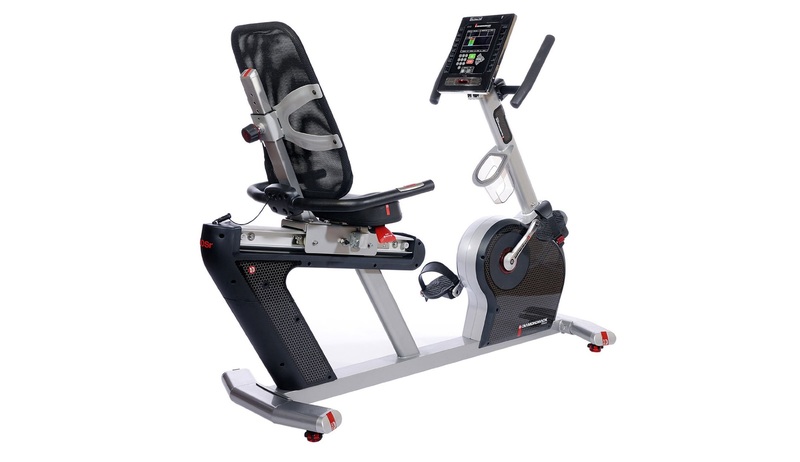 Recumbent bikes are more comfortable and for people with back problems they are a must. As seen in the picture to the right, recumbent bikes are much more supportive. 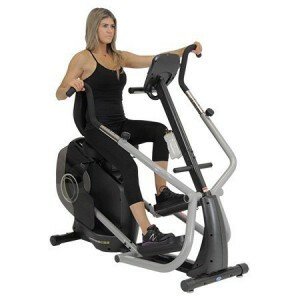 Upright bikes put more load on your back and behind, and it is advisable to choose a recumbent bike if you plan to use it for any significant amount of time, especially if you are a male! The best exercise bike to buy depends on your personal situation and budget. Once you know your budget, buy the best exercise bike you can afford. If the bike is wobbly and uncomfortable you are much less likely to continue using it! If weight loss is the primary reason for purchasing an exercise bike then you want to get a sturdy bike with heart rate monitor, a good brake and detailed display so you can monitor your metrics. If you’re serious about weight loss then you will probably spend a fair bit of time on it so comfort is very important too! Considering these factors, I think the best exercise bike for weight loss is the Diamondback Fitness 910SR Seat Recumbent bike. It is sturdy, comfortable, feature packed and the fan actually does keep you cool while you shed those pounds! Touted as a gym quality bike, the 910SR is designed with your fitness in mind. Try it for yourself and see! 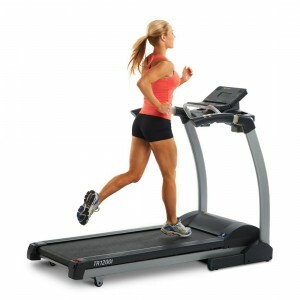 Most importantly, buy the best treadmill you can afford to maximize the benefit you can get from it. 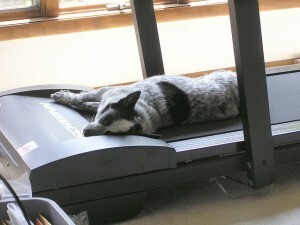 You want a high quality treadmill with nice features so you look forward to using it. A poor quality treadmill will lead to a bad experience which will lead to it becoming a dust collector. You don’t need to spend a fortune but you’ll need to spend at least $1000 to make it worthwhile. ‘Cushion Flex Whisper Deck’ technology provides a comfortable, quiet workout while reducing impact by up to 40%. 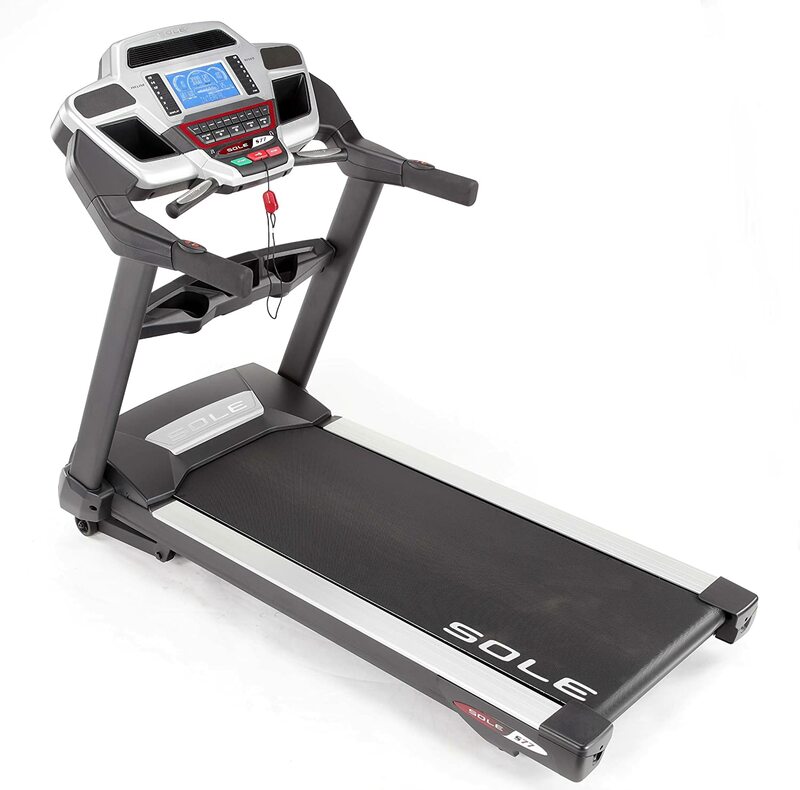 A solid high quality treadmill made for serious runners. Try it yourself and see why it is so popular! Elliptical machines are another great option for working out and losing weight at home. These machines are extremely popular for several reasons. Many people with moderate fitness levels like them because they also work your upper body, which treadmills and exercise bikes do not. As well as this, the low impact nature of them and the way your body is positioned puts less stress on your joints than other equipment such as exercise bikes and rowing machines. The upright versions are good for strengthening core muscles but it is very important to maintain good posture otherwise they will do more harm than good. The recumbent versions are more supportive of the lower back and are better for people with low to moderate fitness levels. Elliptical machines are a great choice for doing cardio workouts in the comfort of your own home and many people have lost a lot of weight by using them. Another one of the best cardio machines for weight loss is the rowing machine. Rowing machines are a great way to burn a lot of calories however they are not suitable for everyone. Correct use of a rowing machine can potentially burn a high number of calories and work many muscles simultaneously but if you have any issues with your joints, mobility, knees, lower back or have a less than moderate fitness level to start with they are not a good option. Due to the position the rowing machine puts your body in the joints in your knees, hips and ankles all experience significant flexion during the stroke and any issues with any of these joints will be exacerbated by using a rowing machine. In a similar fashion, the acute angle between your torso and thighs that is created during the stroke puts a lot of stress on the lower back. If you do not have a strong core then you should be wary of spending much time on the rowing machine because as your core fatigues your it will be very easy to strain the important muscles in your lower back. For those with moderate fitness levels though, a rowing machine will provide a fantastic full body workout and leave you dripping sweat all over, so make sure you put it on a mat! 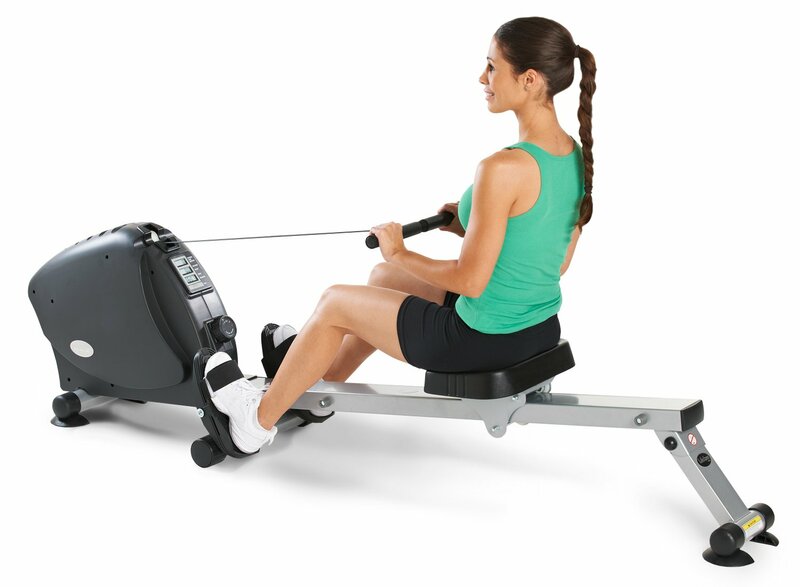 If you want a cardio machine for high intensity interval training then a rowing machine is suitable for you. By varying the resistance you can burn a large amount of calories in a short amount of time. Another great thing about rowing machines is that they are usually easy to fold up and store out of the way so they are less intrusive to a room than treadmills, exercise bikes or elliptical trainers are. 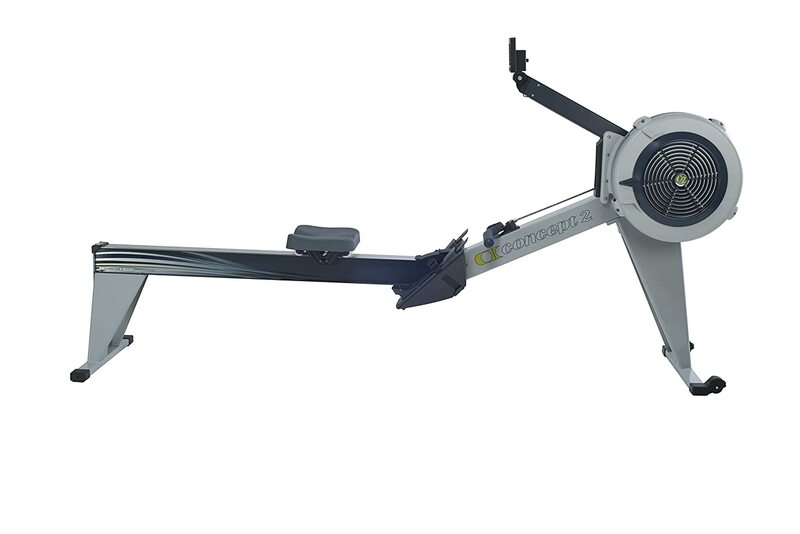 When it comes to rowing machines, I don’t think they get much better than the Concept2 Model E. This is a commercial quality rowing machine. There is very minimal assembly required and it is quick and easy. About 8 screws to connect the 2 legs and monitor arm and you’re done. Some people say to get the D model rather than the E model (the E model is elevated so it sits a bit higher making it easier to get on and off). The two models are functionally the same apart from the height and the D model is slightly cheaper. The price difference is negligible compared to the purchase price and the higher seat makes for a much better experience so I would recommend the E model. Thanks Barrack, I wish him the best of luck! Hi Kenny, the Sole S77 reviewed in this post is a good choice for the elderly. It is well made, has an extra wide platform and most importantly it has special cushioning which is said to reduce impact by up to 40%! Great post with lots of useful information. To be honest, I don’t use any cardio machine to lose weight, but I do have an exercise bike to keep myself fit. I chose an exercise bike as I have arthritis in the knees and I was told an exercise bike was the best exercise equipment for this condition. However, having seen your article I wonder if an elliptical machine would be better and in addition I like the idea of working the upper body. Hopefully your article will encourage others to try a little home exercise whether it’s to lose weight or just keep a little fitter. Hi Peter, an exercise bike is a good choice for your knees – it’s definitely low impact and more gentle on your knees than say a treadmill. Thanks for your input! You have a fantastic website. I really enjoy the fact that you have mentioned what equipment to use for what type of training. I have seen so many people using just cardio machines to lose weight and forget that muscles also burns fat. Thank you for the supplement suggestion, I need to go and get some. I love sports and in particular articles about sports. Because I am living a healthy lifestyle. And any piece of advice is good ! So Cardio Machines are really good for weight loss. 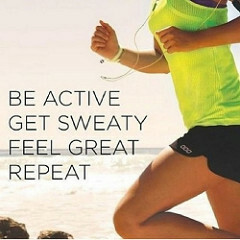 People can argue with me by saying that it is best to go outside and run, but I say its good to do both. Because with the machines you have instant access to do different variations of cardio like sprinting up a hill. Where outside you need to find a hill and sprint on it. Thanks Alexey, I agree wholeheartedly with your reasoning. I have an exercise bike at home and, after going through your post, I now know that I need a different exercise equipment. I loved that you added the comparison table which machine is best, depending on the person’s goals. Please share some really effective exercises using the different machine that a person wanting to shed some pounds fast can follow. 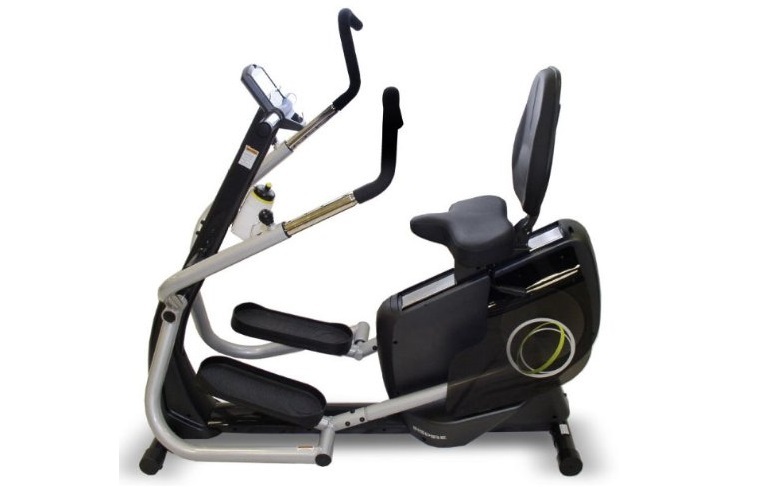 With these exercise machines the exercises you can do are limited by the functions of the machine. In most cases you are performing the same exercise but at different intensities. They all have programs built into the on board computers that are quite good. To shed pounds fast, start with the ‘fat loss’ workouts. Hi Robert your doctor could better advise you with regard to your personal circumstances but in my opinion a treadmill would be best. Load bearing exercises (like walking on a treadmill) help to strengthen your bones which is important as you get older. Love the page, excellent layout, and appreciate the links to jump down to the section. Great quick browse information for those who would be on a mobile device. My question for you is: Will your page eventually lead to more comparisons of different machines with in a certain type i.e. list more than one treadmill and how they compare? Here you rate what you have found as the top rated, but no comparisons to the competition. Just curious really as there are pros and cons to everything and could add a little more depth to the article. Even if not, it’s a great page! this was a damn helpful post man. I was thinking of purchasing a cardio equipment but I was confused between the choices. I researched about it but I found nothing at one place but your post reviews it all in detail and that too in one place. I think I’ll go with Inspire Cardio Strider 2.
say someone like myself that loves to lift weights but hates cardio always just happens to be short on time for cardio. The rowing machine is going to be my best option? I have never used the row machine before. Will this make my legs or back sore? I don’t want it to affect my lifts. thank you for your input? Everyone has different physiology and their own conditions but I think that if you are fit and have no physical issues then the rowing machine is the most efficient way to get a high intensity cardio workout that uses lots of muscles. Happy sweating! That’s a super throughout guide with some amazing recommendations for cardio junkies – cheers mate! I’m personally not a huge fan of any machinery for aerobic training but they do add a big deal of simplicity to one’s training regime, no doubt. Also, as a traditionalist I’d go with the good old treadmill from your list. It’s more natural and less of an isolated movement. What do you think about using the rowing machine plus the treadmill? Hi Simon, thanks for your input. I think a rowing machine and treadmill are a great combination, though not at the same time!